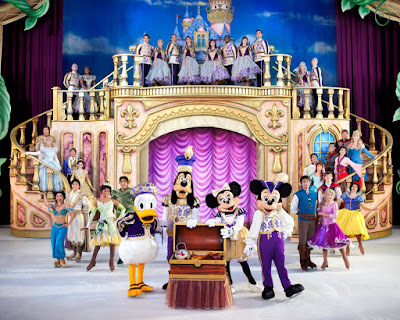 DISNEY ON ICE SETS THE GOLD STANDARD WITH THE MAGICAL ICE SKATING SPECTACULAR TREASURE TROVE! 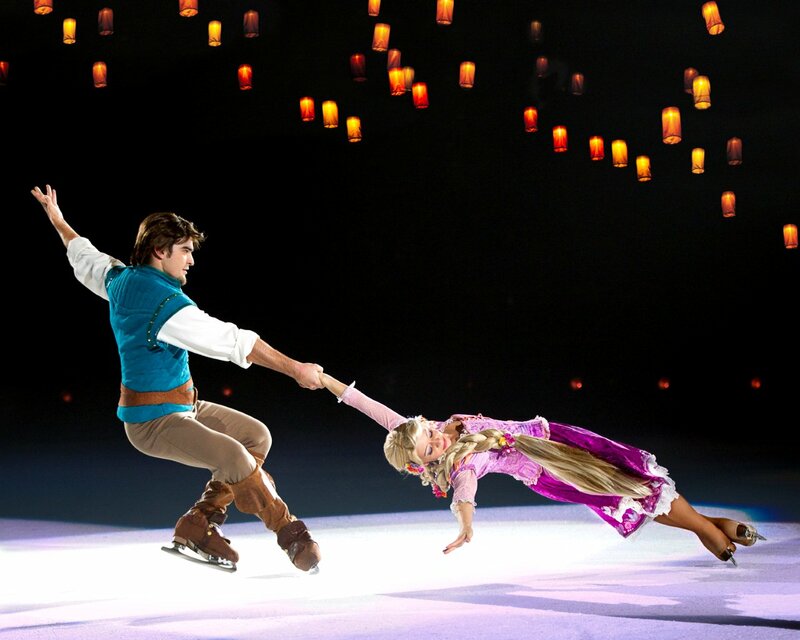 Have you been to any performance of Disney on Ice? If not I would totally suggest attending the show. I have been to Disney on Ice since I was in my late teens and take my own kids to see the different shows now. There are so many to see that travel around all over the United States and each are awesome. From Beauty and the Beast to Frozen, all of the On Ice performances are beautiful to watch and also admire all the work that goes into each performance. 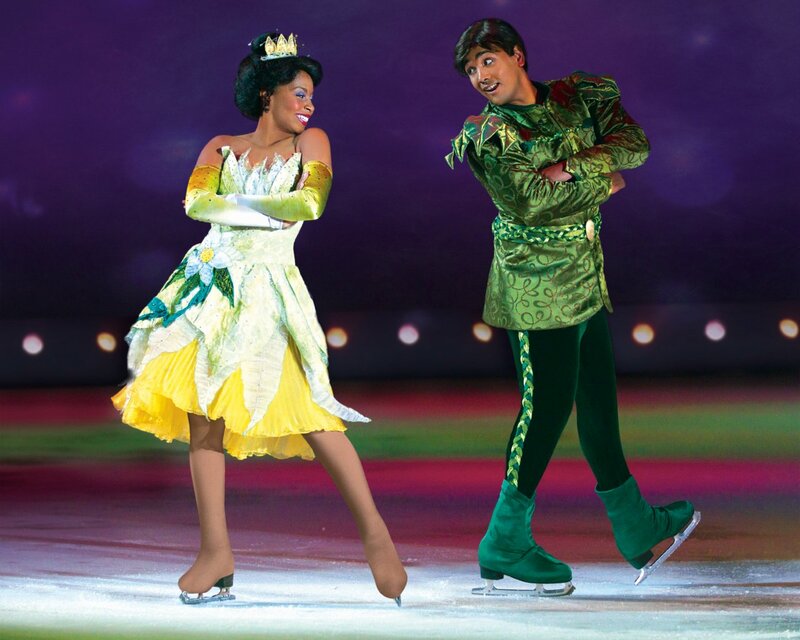 The sets are awesome, the costumes are on point and the feeling of seeing the magic on ice is it's own happiness! Combining 8 wonderful Disney tales, Treasure Trove brings the best of all Disney animated tales to life. There is really something for everyone to watch and enjoy. Both my kids love to attend the show and my son who is on the Autism spectrum does great. There is plenty of action to keep him entertained and there is an intermission that he can get some of his wiggles out during. He absolutely loves to see his Disney favs on Ice and in front of him performing. He is great with the noise level although if there is sensitivity or sensory that your kiddo may have I suggest bringing a ear head set for comfort level. Tickets are on sale now for Treasure Trove for two So Cal venue locations. Audiences will discover endless riches when an extraordinary lineup of stories from the Disney Vault come to life for the ultimate Disney animation celebration with the delightful production, Disney On Ice presents Treasure Trove – Presented by Stonyfield YoKids Organic Yogurt. 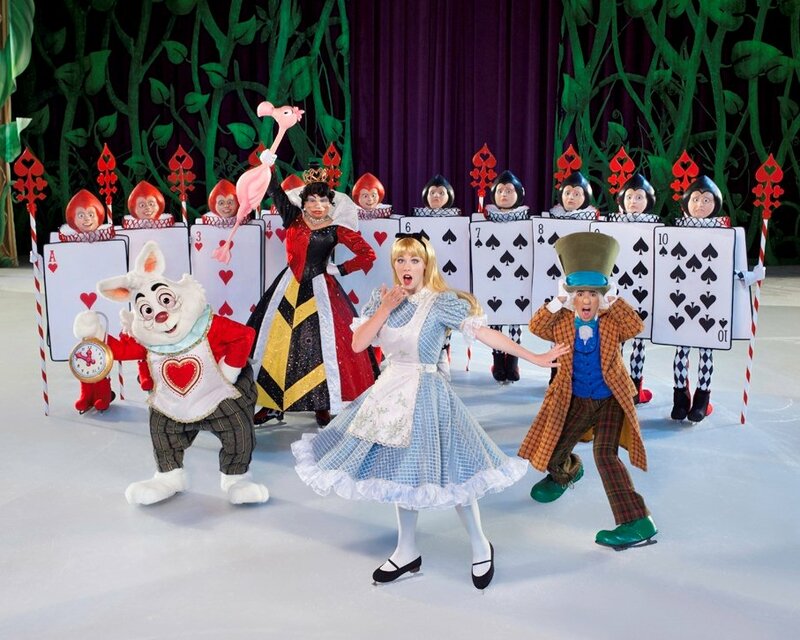 Disney On Ice sets the gold standard with its skating spectacular spanning tales from the first full-length animated film to the 50th Disney film, playing the Southland from April 13-24 at the Citizens Business Bank Arena in Ontario and Long Beach Arena. Hit the ice with Mickey Mouse, Minnie Mouse, Donald and Goofy as they embark on a fun-filled treasure hunt for some of the most popular Disney films ever. Get tangled up in Disney’s 50th animated feature with Rapunzel and Flynn. Enter the worlds of your other favorite Disney Princesses: Ariel, Belle, Cinderella, Jasmine, Aurora, Tiana, Mulan and, of course, the one who started it all, Snow White. Ahoy, Mateys! Set sail with Peter Pan, the always sassy Tinker Bell and the cantankerous Captain Hook & his pirate pals! Trek the wilds of Africa with Simba, Nala, Pumbaa and Timon as they discover the true meaning of the ‘Circle of Life.’ Tick-Tock! Tick-Tock! Don’t be late to a very important date with Alice and the Mad Hatter as they march with the Queen of Hearts’ Army of Cards. Plus set a playdate with Woody and Buzz Lightyear because the toys are back in town! 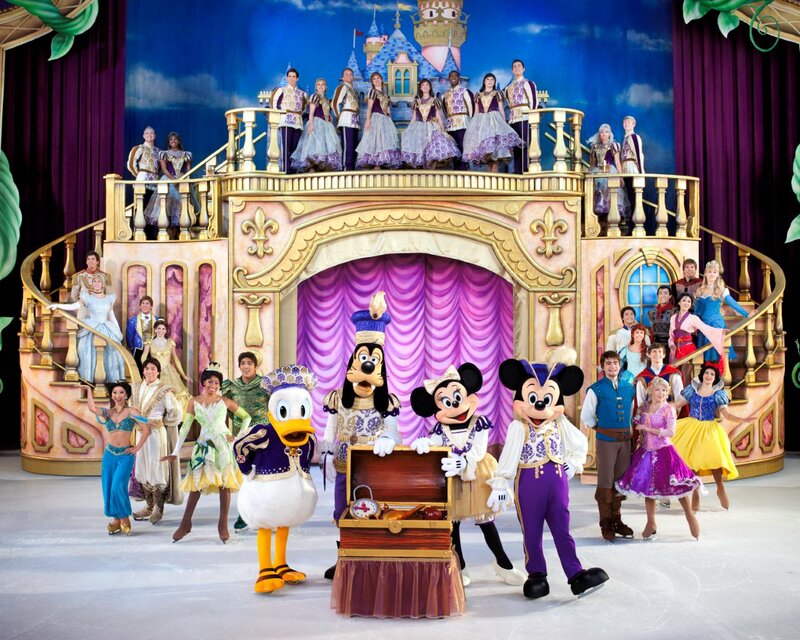 Highlighting eight Disney movies and more than 50 Disney characters featured, Feld Entertainment’s Disney On Ice presents Treasure Trove – Presented by YoKids will create memories your family will treasure for a lifetime! I have a special code for you to use for a discount on certain tickets. Are you excited yet? 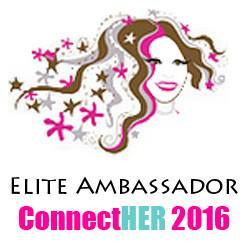 Well here is your opportunity to enter to win tickets to see the show! I have been given the opportunity to giveaway 4 tickets for the show!! The giveaway tickets are for a SPECIFIC SHOW. Please only enter if you can make it to this show: Thursday, April 21 Long Beach 7pm!